Sheldon T. Murray was born on 14 June 1834 in Niagara Falls, Niagara County, New York. He married Mary Ann Simkins, daughter of Jesse Lorenzo Simkins and Nancy Bloomer, on 4 April 1860 in West Webster, Monroe County, New York, at the home of Mary Ann's sister, Mrs. S. C. Peet. 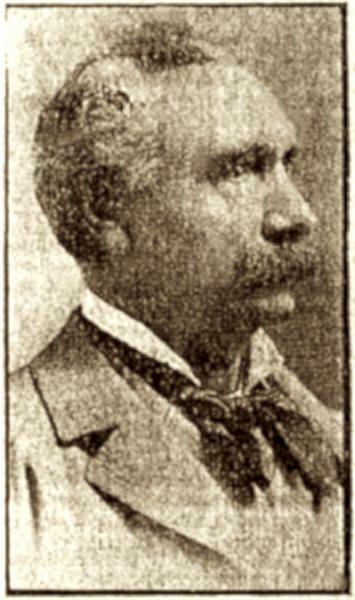 Sheldon T. Murray became a widower at the 15 April 1903 death of his wife Mary Ann Simkins. Sheldon T. Murray died on 9 May 1910 at age 75 in Niagara Falls, Niagara County, New York, at 522 Cedar Avenue at his residence. The following appeared on 9 May 1910 in the Niagara Falls Gazette: One of Niagara's pioneer residents, Sheldon T. Murray, died early this morning at his home, No. 522 Cedar avenue, after an illness covering a period of about two weeks. Mr. Murray had been in poor health for several months, but was not taken to his bed until two weeks ago. Death was due to a general breaking down of the system due to old age. Had he lived until June 14th, he would have been 76 years old. The son of William Murray and Susan F. Tompkins, Sheldon T. Murray was born in the old village of Niagara Falls June 14, 1834. He received his education in the schools of the village and his first business venture was in a grocery store, which he opened on Falls street about on the present location of Lynch's shoe store. Later he conducted the livery business connected with the International hotel. This venture was very successful, and some years later he formed a partnership with Rowland F. Hill and manufactured Wood pulp, the mill being along the upper rapids just outside the gates of the old park. The firm name was Hill & Murray, and the business was continued until the state took over the reservation in 1885. Following this Mr. Murray was connected with the United States Customs service in this city and later was superintendent of the Niagara Falls Water Works company, but in recent years followed no business. Mr. Murray was a man who loved the out-of-door life, a great sportsman and hunter, to which he attributed his vigorous health. ':CR:] On April 4, 1860, Mr. Murray married Miss Mary Simpkins, the ceremony being performed at Webster, Monroe county, this state. Mrs. Murray died in 1903. Three children survive, the Misses Susan T. and Mary S. Murray, and one son, Edwin J. Murray. Mr. Murray was a member for many years of Niagara Frontier lodge, No. 132, F. and A. M. The funeral will be held from the family home in Cedar avenue on Wednesday afternoon at 2:30 o'clock. The Reverend Philip W. Mosher of Saint Peter's church will officiate. The following appeared on 9 May 1910 in the Niagara Falls Gazette: The death of Sheldon T. Murray, a life-long resident of the city, which occurred early this morning, will be deeply regretted throughout the length and breadth of the community. He was universally esteemed and without doubt widely known as any man in the city. In his younger days Sheldon T. Murray was prominent in the civic life of the community and took active part in all movements of moment. The abiding faith of the deceased in the future of the community was a pleasing characteristic. He was born and reared here and preferred to remain with the city and grow up with it. In the pioneer days when hardy, active and energetic men were required he was always found in the harness and pulling hard on the traces. In the nearly four-score years of his life he witnessed remarkable changes in the city of his birth and in his last years found little to identify the place with the settlement he knew in youth. The sympathy of the community will be extended the family in its sad affliction. The following appeared on 11 May 1910 in the Niagara Falls Gazette: The funeral of She11 May 1910on T. Murray, whose death occurred on Monday at 2:30 o'clock from the family home, No. 522 Cedar avenue. there were many friends from this city and elsewhere present at the services, which were conducted by the Reverend Philip W. Mosher of Saint Peter's Church. The bearers were Frederick S. Parkhurst, Jr., William Young, A. H. Van Cleve, C. M. Young, George Nussbaum and Harry Clark. Burial was in Oakwood.